A pictorial history of Macon's Ocmulgee National Monument is the latest work by Dr. Matthew Jennings, associate professor of history at Middle Georgia State University. 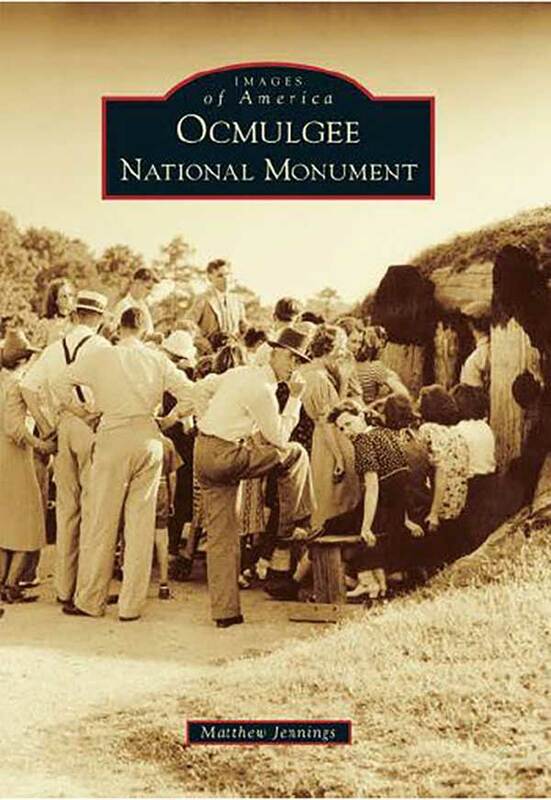 "Images of America: Ocmulgee National Monument" is set for release on July 27 by Arcadia Publishing. The book features many vintage images that have never been published. People have called the land near the Ocmulgee River home for a long time, perhaps as many as 17,000 years, and each successive group has left its mark on the landscape. Mississippian-era people erected the towering Great Temple Mound and other large earthworks around a thousand years ago. In the late 17th century, the site flourished as a center of trade between the Creek Indians and their English neighbors. In the 19th century, railroads did irreparable damage to the site in the name of progress and profit, slicing through it twice. Preservation efforts bore fruit in the 1930s, when Ocmulgee National Monument was created. Since then, people from all over the world have visited. The book will be available at area bookstores, independent and online retailers and through Arcadia Publishing at (888)-313-2665 or online at http://www.arcadiapublishing.com/9781467114400/Ocmulgee-National-Monument. A portion of the proceeds from the book will benefit the Ocmulgee National Monument Association. Jennings first visited Macon and Ocmulgee National Monument in 2000 during a graduate school research trip. He was immediately drawn to the site, and he couldn't believe his good fortune when he was hired to teach Native American history at what is now Middle Georgia State University after receiving his Ph.D. from the University of Illinois in 2007. Jennings regularly teaches classes on early American history and Native American history that allow him to share his passion for Ocmulgee with hundreds of students.Beyond his college teaching, Jennings serves as vice president of the Ocmulgee National Monument Association, an organization founded to promote the site in Middle Georgia. Other published books by Jennings include "New Worlds of Violence: Cultures and Conquests in the Early American Southeast;" a new edition of William Bartram's writings on Southeastern Indians titled "The Flower Hunter and the People;" and, with colleague Dr. Stephen Taylor, the "Macon" volume in Arcadia's Images of America series.